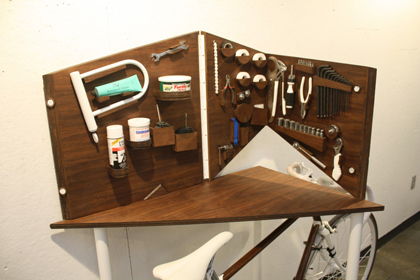 Loving this small apartment bicycle workbench. Source. 2011 NACCC race portraits from COG Magazine on Vimeo. The Foot Down’s OwlyCat 2010 from The Foot Down on Vimeo. Grind Trailer from Andreas Kleiberg on Vimeo. Massan x Macaframa Raw from MACAFRAMA on Vimeo.